| Home | How to Take Care of a Backyard Chicken Hen | Should You Winterize Your Backyard Chickens? Should You Winterize Your Backyard Chickens? How much or little you do to prepare your chickens for the cold weather of winter will have everything to do with two factors: what type of winter you typically have and what breed of chicken you have. For example, in some regions winters can be long, cold and snowy. In other regions winters can be so mild people still go out in shorts! As well, some breeds of chicken are known to be very cold-hardy while others are more sensitive to climate changes. So there is no one right or wrong answer to the question, “Should you winterize your backyard chickens?” There is just the right answer for the weather where you live and the breed of chickens clucking about in your backyard. Perhaps the best way to address this question is with a list of do’s and don’ts. Your chickens huddling together in their coop will produce lots of warm, humid air. As that air rises, it will inevitably encounter cold air seeping in through crevices in the coop. The cold air will turn the warm air into rain or frost, making for wet, uncomfortable and sickness-prone birds. Dry bedding is a must in cold weather as a source of insulation and warmth. Wet bedding can freeze or rot, causing sickness. Be sure your chickens have plenty of fresh water and an extra serving of corn nightly so their bodies have extra hydration and fuel to keep them warm. This can keep frostbite from setting in, especially if/when your chickens venture out during the day to get some fresh air and stretch their legs. In addition to providing plenty of dry bedding, adding some extra light (NOT tight) insulation to the coop will ensure your chickens can keep warm even at night when temperatures really drop. Also make sure the roof is waterproof to keep excess moisture out of the coop. Your chickens will feel much colder if they aren’t able to get out and move around during the day at least. As well, if they are stuck inside for too long, the close quarters combined with inactivity may cause dangerous fights. If you can sprinkle some straw or hay on the frozen ground, this will encourage them to move about more on nicer days and stay active through the winter. literally cover the coop floor and their own bedding with droppings and feather fluff. Once the droppings freeze, they will be very difficult to clean up as well as unhygienic for the chickens. For their health and safety, be sure to keep the coop clean and their bedding fresh throughout the winter. Chickens can be very sensitive to drafts, especially when they are already feeling cold. While drafts up high in the coop can be beneficial for keeping the coop ventilated, drafts at a mid or low level can chill your chickens and weaken their immune systems, leading to illness. Frozen drinking water can quickly lead to dehydrated chickens, since they actually need to drink more in winter than in warm weather. And of course, sitting on frozen eggs can cause frostbite and illness. If you do a good job of lightly insulating your coop and providing plenty of bedding as extra insulation, hopefully you will never need to resort to heat. 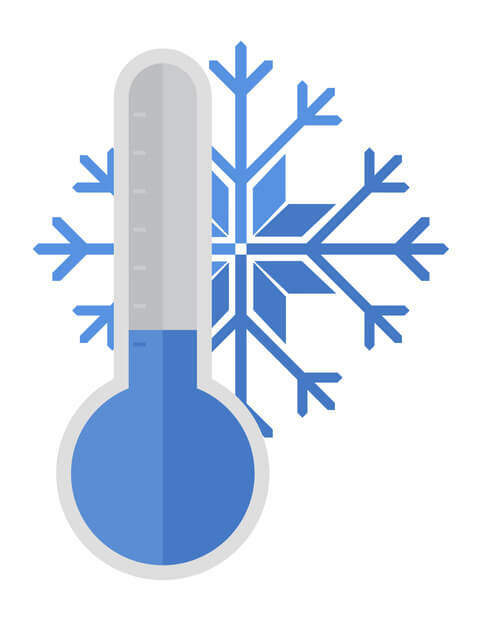 Most breeds of chickens are much more cold-hardy than people are, and in fact they are more illness-prone when exposed to a quick extreme temperature variances, such as a very warm coop and an extremely cold yard. Chickens can survive temperatures up to a few degrees above freezing if the coop is insulated, they have plenty of dry bedding and they can huddle together and fluff their feathers for extra warmth. 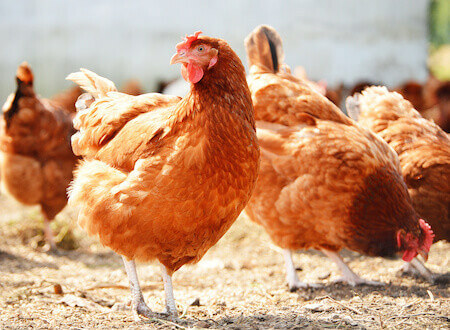 In summary, in most climates, winterizing your backyard chickens should at most consist of insulating your coop, providing additional ventilation as needed and making sure your chickens stay well hydrated, well fed, active and dry during the cold months.